YOGA: Two yoga classes will be taught each day by Ruby Reed and Christabel Reed (founders of Advaya Initiative). We will take a deep dive into the practice while building strength and flexibility. We will prioritise breath development and incorporate elements of movement, chanting, pranayama and meditation. HEALING FOOD: Delicious and healthy breakfasts, lunch & dinners will be cooked and prepared by our healing chefs Atty and Bea. Atty & Bea have cooked on many of our retreats in the past and never fail to create incredible meals that warm the heart. Recipes will be inspired by balancing Ayurvedic traditions using locally sources and organic ingredients wherever possible. SUSTAINABILITY & ORGANIC LIVING: practicing what we preach is really important for us at Advaya Initiative but not always as easy as we would like! For this retreat we are going to be sourcing as much food as we possibly can from the local area, small scale farmers where we can speak to whoever was involved with the growing of our food. Food will be organic as much as possible. It will be healthy and nourishing in every way - for both people and planet. We are going to aim to be 100% plastic free - quite a big commitment but one we really want to achieve. It will definitely be a challenge and we might not manage it in everything but we will try! Treated papers like TetraPak are also a no, this means that all alternative milks will be freshly made, yogurts in glass, etc. CRAFT, WALKS & WORKSHOPS: We will lead wild walks in the magical surroundings each day, and host optional nature workshops, from sit-spots to deep awareness practices that connect us with the natural world. Some of the very brave might have a cold swim, while the rest of us will get cosy in warm baths. We will host a workshop in Ayurveda and explore the constitutions and doshas in detail. We will take this further by applying the principles to the food we eat and consider new step. We will set up an art station too, and throughout the weekend we invite you to paint, draw and read, engaging with your natural creativity whenever you can. There will of course be plenty of opportunity to relax in our beautiful home and it's gardens and take all the time you need to rest for the most important thing of all, your self-care. WHAT NEXT? To reserve a place and choose your room please contact us. We will then ask you to pay a 50% deposit before paying the full 7 days before the retreat starts. 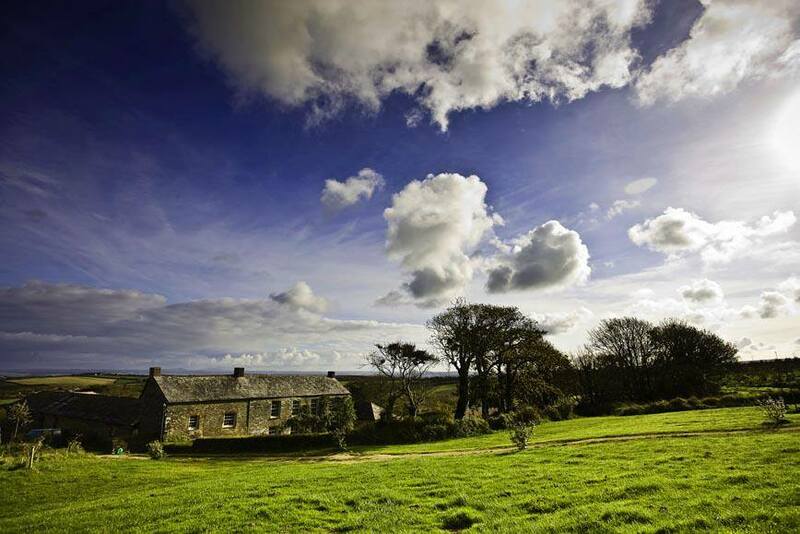 Carthew Farm is a beautiful family home set in one of the most picturesque areas of North Cornwall overlooking the Camel Estuary. With woodlands for walking and seas for swimming this is a very special retreat space. All-inclusive prices range from £300-£650, depending on which room you choose.